Salvator Karabaić was born in Krk in 1884. In 1904, he finished a grammar school in Sušak, and in 1910 graduated from the Vienna Medical School. From 1910 to 1919, he worked in Pula/Pola and Kovin. From 1919 to 1929 he worked at the Institute for Mental Illnesses Stenjevec (today the Psychiatric Hospital Vrapče) where in 1921 he became the head physician (orig. primarius) at the age of 37 years only. Between 1929 and 1945, he worked in Sarajevo as a Head of the State Hospital’s Neuropsychiatry Department. In 1948 he was appointed the director of the Hospital for Mental Illnesses in Sarajevo. The hospital was in fact a remodelled rope factory with a favourable position near a homestead. He managed this institution until 1956. He died on 24 September 1956 at a hospital surgery ward in Sarajevo. Judging by Dr Karabaić’s ability to take care of 200 psychiatric patients alone, he was an outstanding figure with enormous experience. A lot of it he earned during the Vrapče hospital period between 1919 and 1929. 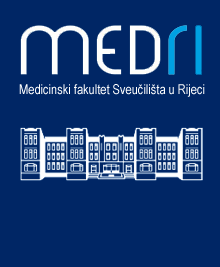 He had the opportunity to work with the outstanding figures of Croatian psychiatry such as Dr Ivo Žirovčić, Dr Laza Stanojević, Dr Ivan Barbot, and Dr Aleksej Kuljženko. The author suggests that a more systematic research is needed to understand the work and the life of Dr Salvator Karabaić, who was a talented and hardworking psychiatrist/ neuropsychiatrist with outstanding managing capabilities, and a person who above all cared for his patients.